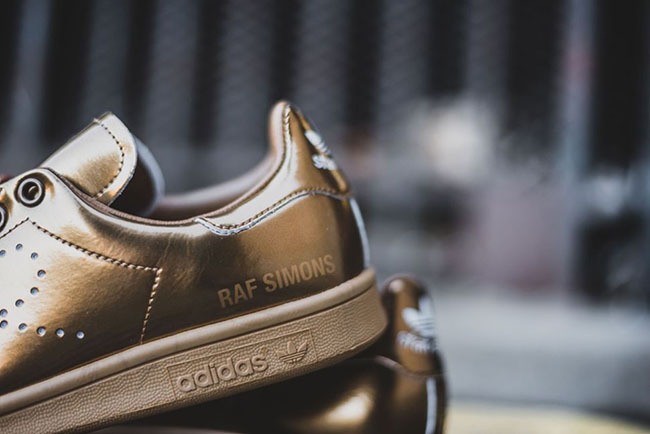 Raf Simons is connecting with adidas once again while using the adidas Stan Smith. This go around the two have dressed this model up in Metallic Copper. 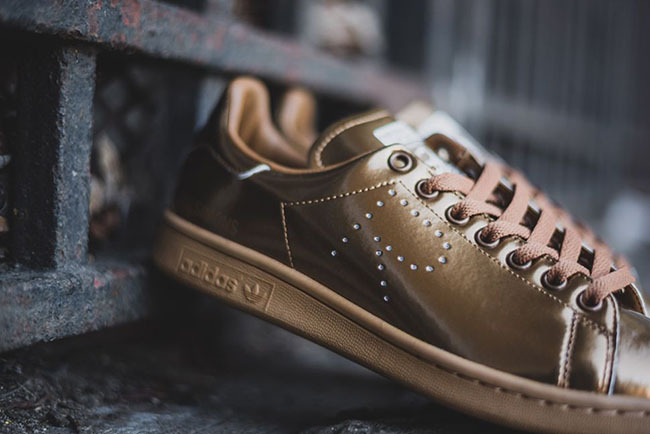 Having a monochromatic look to them, this pair of adidas Stan Smith is covered in Metallic Copper for an eye catching look that is sure to get a few double takes. 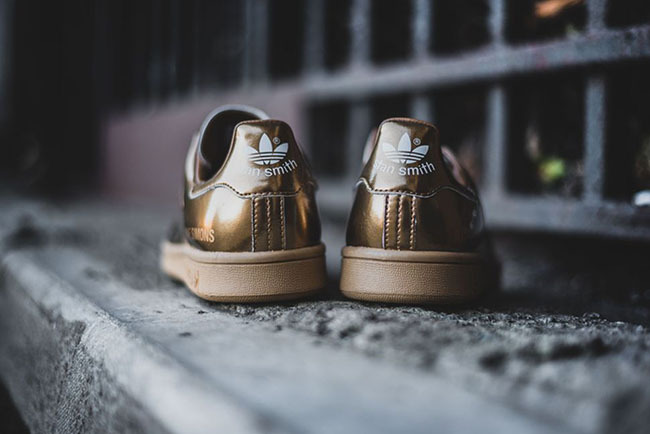 The traditional ‘R’ is seen on the side which replaces the three stripes branding and is perforated. 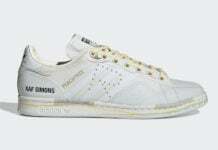 Completing the look is tonal laces, flat Copper midsole, White adidas branding on the heel and Raf Simons on the side. 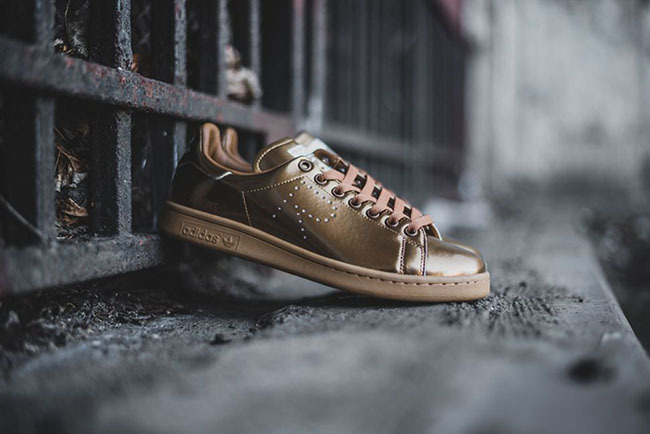 The Raf Simons x adidas Stan Smith ‘Metallic Copper’ is now starting to land at adidas Originals retailers overseas with one of the first stops being Hanon. 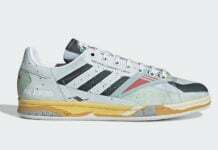 Retail price is £209.00 which comes out to be about $297 USD. 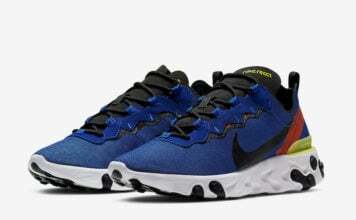 Only a handful of sizes are still left, but if yours is already sold-out expect additional stores to have them shortly. 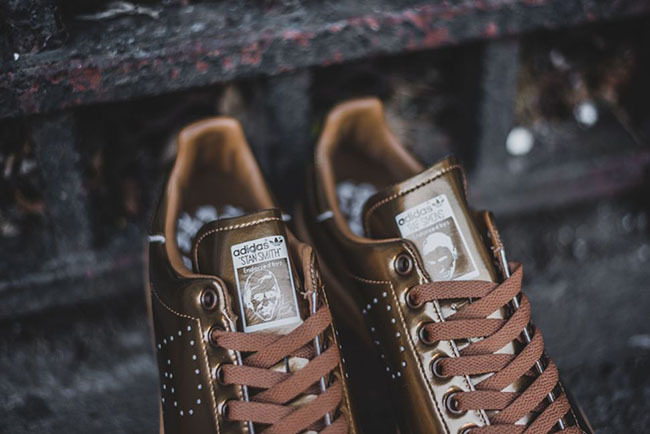 For now, check out additional photos of Raf Simons latest collaboration below.